On this page, you will find all there is to know about the Software updates for Pokémon: Let’s Go, Pikachu! 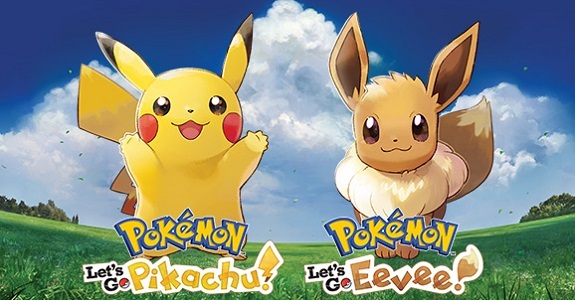 / Pokémon: Let’s Go, Eevee! on Nintendo Switch (originally released on September 20th 2018 in Japan, and December 4th 2018 in Europe and North America). Looking for details about the various Pokémon distributions for this game? Then please check out this page instead! How to download updates for Pokémon: Let’s Go, Pikachu! / Pokémon: Let’s Go, Eevee! for the Nintendo Switch? Important note: each version of the game has its own set of Software updates. Naturally, the contents of said updates are the same for both versions, but that means that you need to download them for both if you own the two games. Additional notes: this is the launch version of the game, and the one you get when you pre-purchase it from the Nintendo eShop. Should there be a Day 1 update, we will add all the relevant details on this page as soon as they’re available.